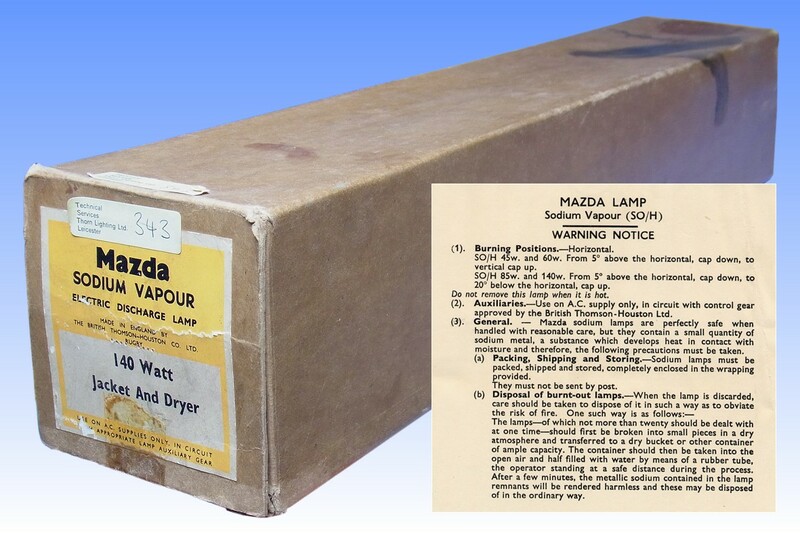 This SO/H sodium vapour lamp was manufactured in 1953 by the British Thomson-Houston Co. Ltd, under its Mazda brand name. Still in mint condition with its original packaging, it is interesting to note the extra efforts made by BTH to ensure that their sodium lamps were the best quality that money could buy. Most noticeable is the small nickel cap, thoughtfully attached to the end of the dewar jacket to protect the delicate concealed tip-off which holds the vacuum. A spring supports the long inner vessel, and to prolong the effective life of the vacuum and maximise lamp efficiency, it also employs a barium getter. 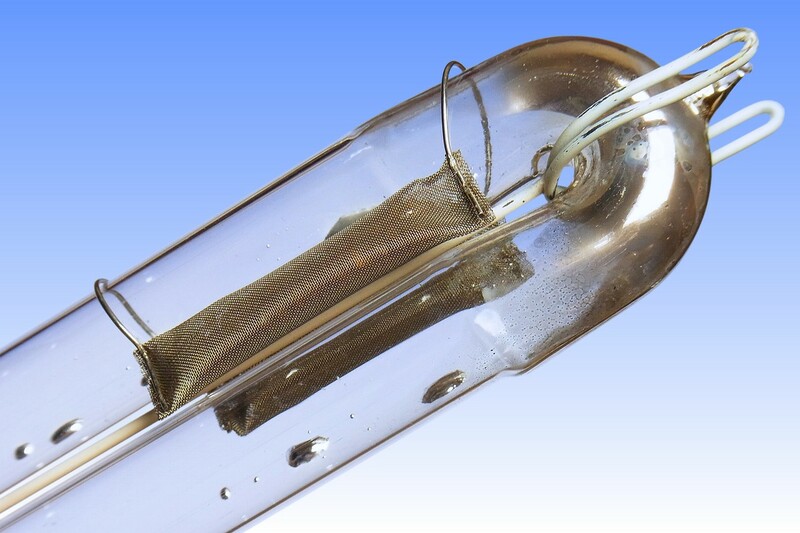 Secondly, a pair of sachets of silica gel, held in nickel gauze, are clipped to the U-bend end of the discharge tube. This eliminates the deleterious films of condensation which can otherwise occur inside a lamp after a cold night's street lighting service. 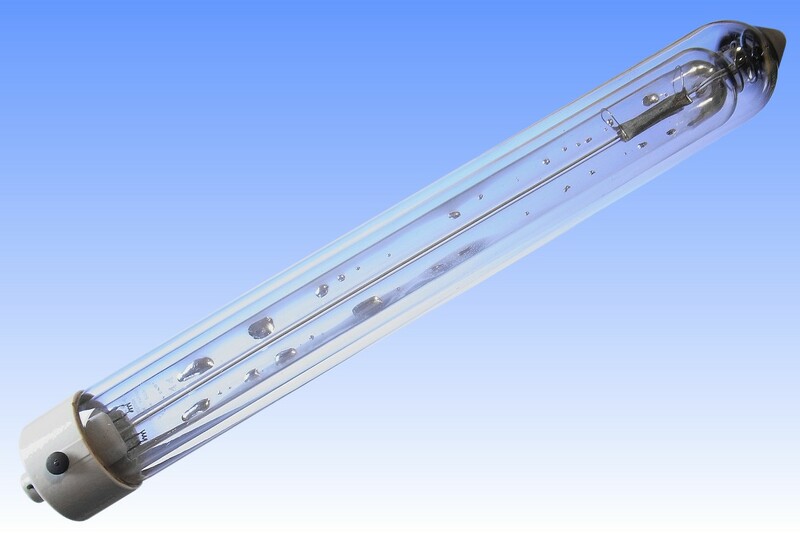 Moisture films can make starting very difficult, and later lamps were supplied with discharge tubes having a superior water-repellent silicone coating. 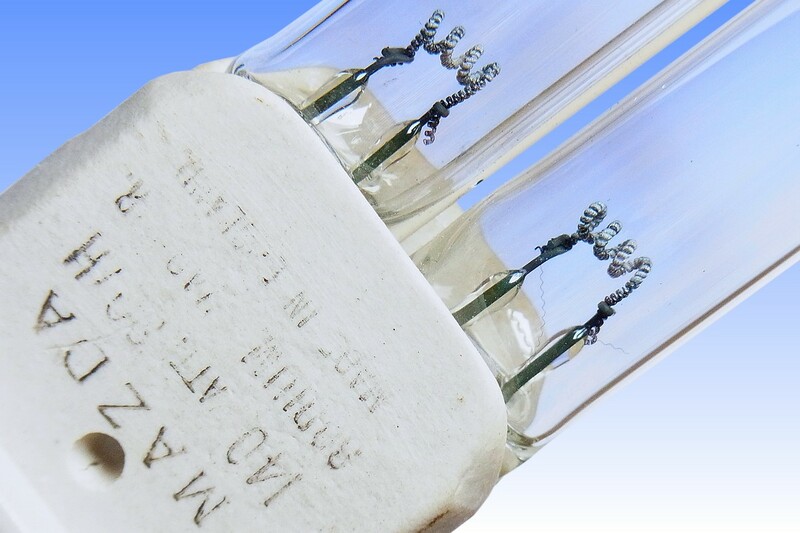 Thirdly, this post-1951 SO lamp is manufactured from BTH's Chesterfield C64 and C40 hard glasses (similar to Pyrex) and these reduced the tendency to crack compared to the earlier C10/C19 soft glasses. 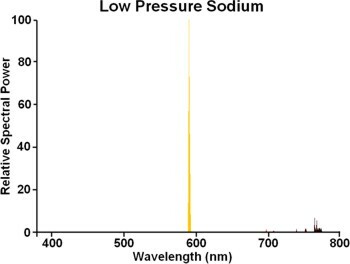 In addition it has better adhesion to liquid sodium, preventing it flowing down to one end of the lamp where it can form large light-blocking mirrors. 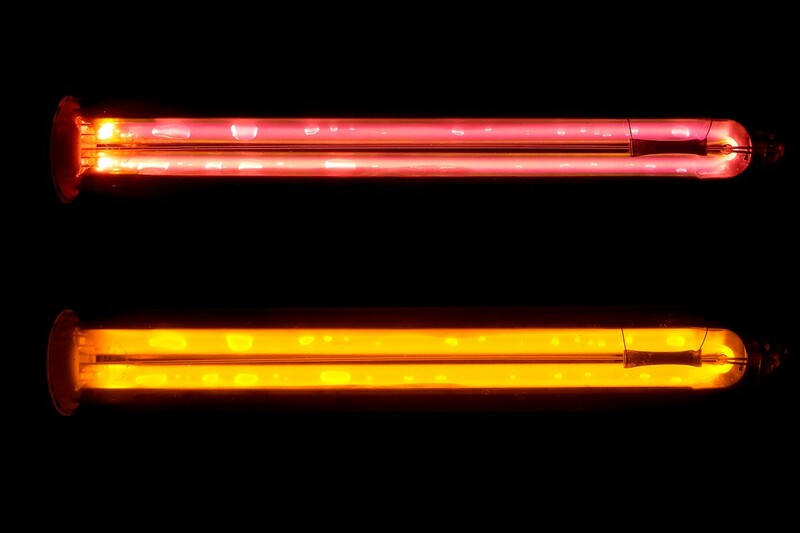 But the C64 lining unfortunately exhibits greater tendency to adsorb argon, which increases lamp striking voltage during life. Lamps made in hard glass are easily identifiable by the green-grey colour of the "Fernico" glass-metal seals.